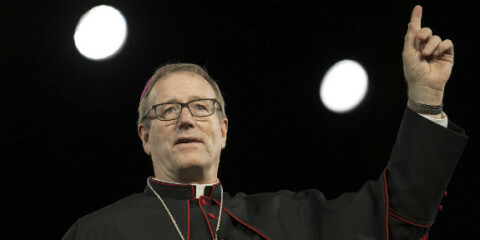 A decade ago, then-Father Robert Barron started filming his acclaimed “Catholicism” series, which premiered in the fall of 2011 on PBS, and has since gone on to become one of the most beloved and acclaimed presentations about the Faith. Available on DVD and online, “Catholicism” not only became a mainstream media phenomenon but a catechetical one as well, with many Catholic educators using the show to teach both children and adults. 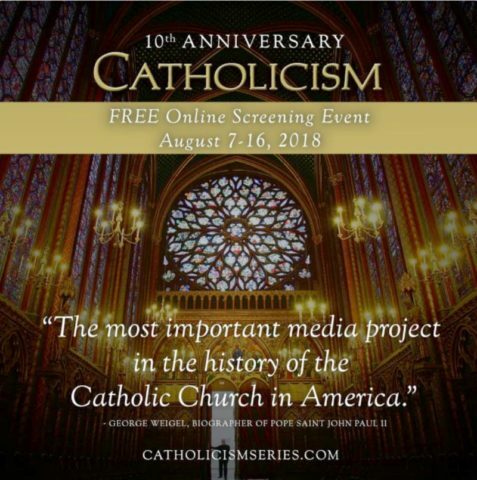 Emphasizing the scope, history, beauty and faces of the Church past and present, “Catholicism” set a gold standard for portraying the Catholic Church in the mainstream media. Beautifully shot all around the world and carefully researched, it’s leagues beyond many sensational popular documentaries and movies that often trivialize, sensationalize or outright misrepresent the Church, her teachings and her history. “This series changed the way I think and act. The global settings were stunning, but it was Fr. Barron s brilliant insights on life s most challenging issues that shook me to the core,’ admitted [executive producer and filmmaker] Mike Leonard. “Whatever your belief or background, there is much to gain from this deep and profound excursion into spirituality, logic and the human experience,” he added. The team was granted exclusive access to film privately in many locations inaccessible to the general public. Highlights include some of the world s architectural and artistic masterpieces and most sacred places: The Dome of The Rock, the Hagia Sophia, the tomb of Mother Teresa, The Church of the Holy Sepulchre, rare views of the Pantheon, St. Peter’s Basilica, the Sistine Chapel and the Pope’s private gardens, Chartres, Notre Dame, and Cologne Cathedrals, as well as one of the largest religious celebrations on the planet, the feast of the Ugandan martyrs. Word on Fire has also made the whole 10-part series free for viewing online for a limited time.